Fortytwo Data: Using leading-edge technology to reduce financial and reputational risk. 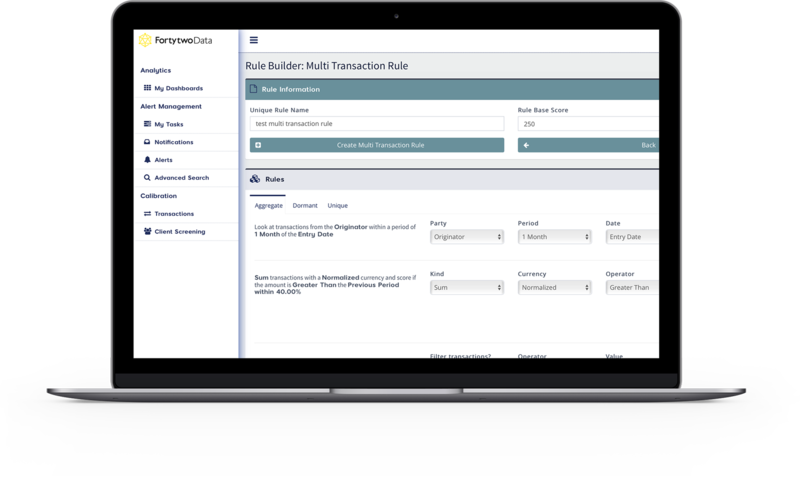 A machine learning-enabled platform that allows non-technical business users in organisations of all sizes to rapidly build rules and increase efficiency within their Transaction Monitoring processes. An innovative application that allows you to automatically assess the consistency of accounts against KYC data, re-evaluate risk ranking of customers and automatically identify customer behavioural anomalies.